Quiz: Are you “niche-ing” enough? Deep in the south american jungle, there is a species of tree frog called the Panamanian Golden Frog. It looks similar to other frogs, but it has something so special it stands completely on its own. It doesn’t have any ear drums. These frogs literally can’t hear anything. But what they lack they make up for in a very specific niche: they’ve developed their own version of sign language to communicate with fellow goldens, for chatting, warning their friends of predators and mating. It makes sense when you think about it though: the rain forest is so loud with the thousands of species in it that a small frog croak would easily get drowned out in the noise. The Goldens probably struggled with this for millions of years and evolved to get ahead of the game. How does this relate to business? By finding your strength and adapting your brand, you can find and own the niche in your market. It might sound risky. Think about it, the Golden can’t hear predators coming, but by going out on a limb in an educated way, you can do even better than you could by imitating your competitors. Here’s your quiz about niche-ing to help you know if you’re doing enough. We’ll keep it brief with bullet points. Think about writing your answers down and giving yourself a score. – Do you sell pizza or do you sell fire-baked-Italiano pizza? Because your competitors probably sell Pizza. How can you be different? – Do your customers know exactly what’s special about you within a few seconds? 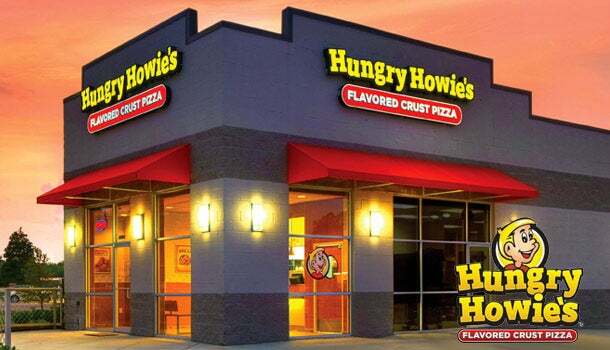 Here’s someone doing it really well: Hungry Howies. They’ve got flavored-crust pizza. It’s clear and it’s genius. Why didn’t we think of that? – What are your unique benefits? – What’s your specific value? 2: Are you really in your niche? – Are you the best in your field at this thing you do? – Are you personally knowledgeable? 3. Is there money in your niche? – Can you get customers to shift to you from your competitors? – Is there market research to back your niche up, at least a little bit? – Can you make people come out of the woodwork to spend money on you? Can you get them off the couch and make them run out to buy your product? You can if you can niche-enough. You got this! We don’t mean to toot our own horn, but we like to consider ourselves pretty dang niche’d. We do marketing. But marketing for franchises. We specifically do marketing collateral management, meaning we help franchises with the pain point of having to take orders from their franchisees for marketing collateral like menus, signs, banners and other printed materials when they need them. That’s a pretty small part of an entire franchise, but we realize, it’s a clear issue, it’s something we’re really good at and there’s definitely value we can bring to our customers. We also do social media, online marketing, web development and other marketing services on top of that. But again, for franchises. We feel like if we lived in the Panamanian jungle like our friends the Goldens, odds would be pretty good for us. In fact, check out some of our testimonials to see for yourself. Need help with your franchise marketing? Talk to our Sales Director, Charlie Alexander, and see if you can’t stump him with your franchise marketing need.